A brush fire that spread rapidly in South San Jose prompted evacuations Tuesday at a school and an IBM research facility, fire officials said. The blaze was first reported at 3 p.m. near Santa Teresa County Park. The campus that was placed under an evacuation order, Muriel Wright School, is located nearby at 298 Bernal Road. Cal Fire officials said the fire burned at least 100 acres and was 90 percent contained Wednesday morning. No injuries are reported in the fire and authorities said an investigation into the cause is ongoing. 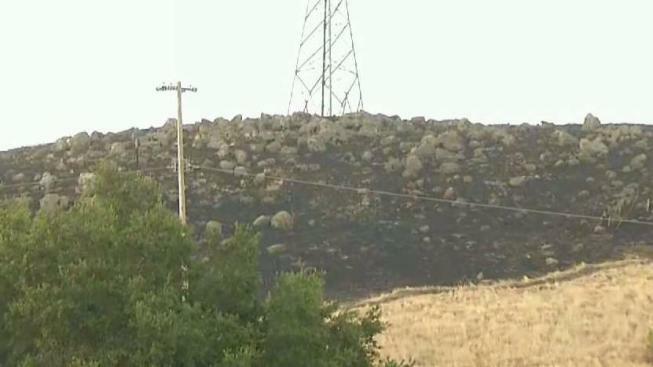 The San Jose fire is at least the second brush fire that erupted in the South Bay Tuesday afternoon. Earlier in the afternoon, firefighters responded to a brush fire that burned at least 40 acres and threatened structures in Morgan Hill.